Cookie life ebbs and flows. Some weeks CRAZY, and then nothing. The down time is good because it gives me a chance to organize and regroup everything I’ve let slide. I can feel a little lost in these moments, burned out from trying to create, wondering if I will ever have the desire to cookie something again when the ease of baking pumpkin bread is so satisfying. It seems, without fail, I do. I haul out the mixer and this stuff happens. 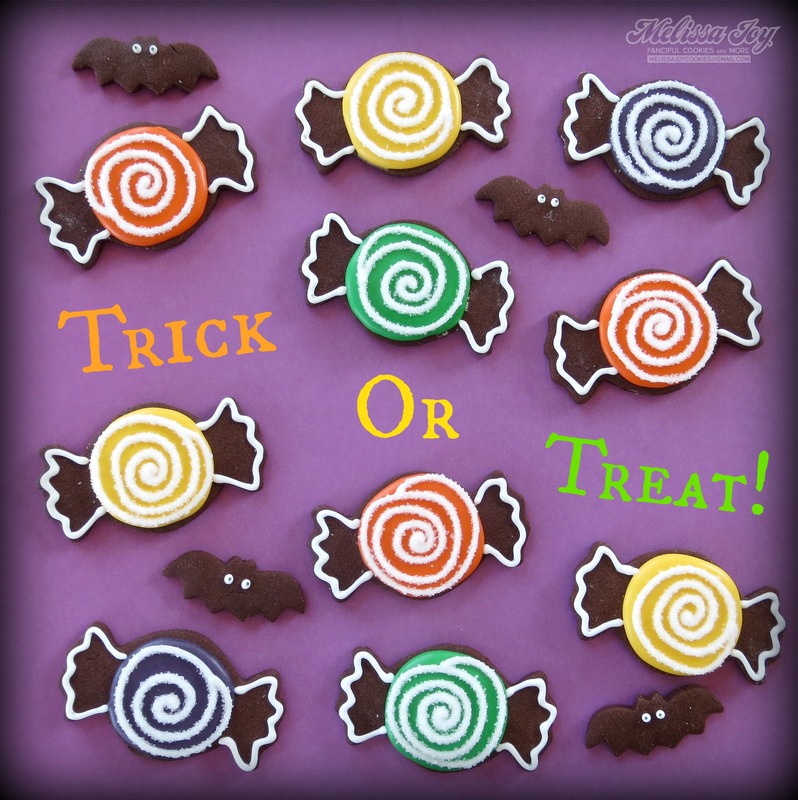 Super easy chocolate sugar cookie treats! I like not having to use a lot of black frosting, so this recipe for a base works great. My candy corn garland was sturdy enough to hang on the mantel, but I gifted them to a family at school. Random act of cookie kindness! The boys and I made these a few weeks ago and they now grace our kitchen table for festive decor. 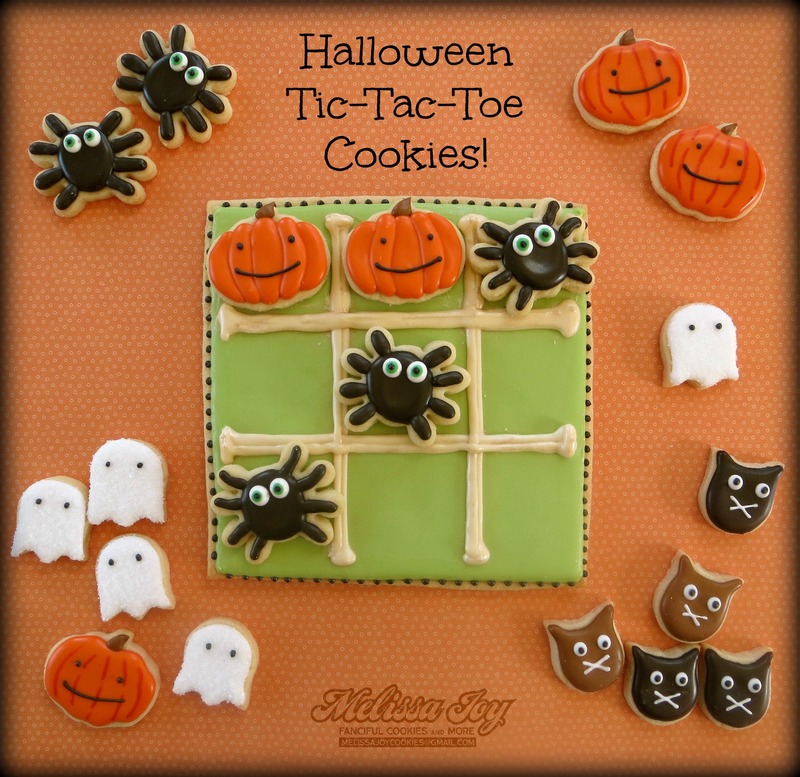 The Halloween Tic-Tac-Toe cookies are one of my favorites made this season! I plan on making a Thanksgiving themed board, so stay tuned. 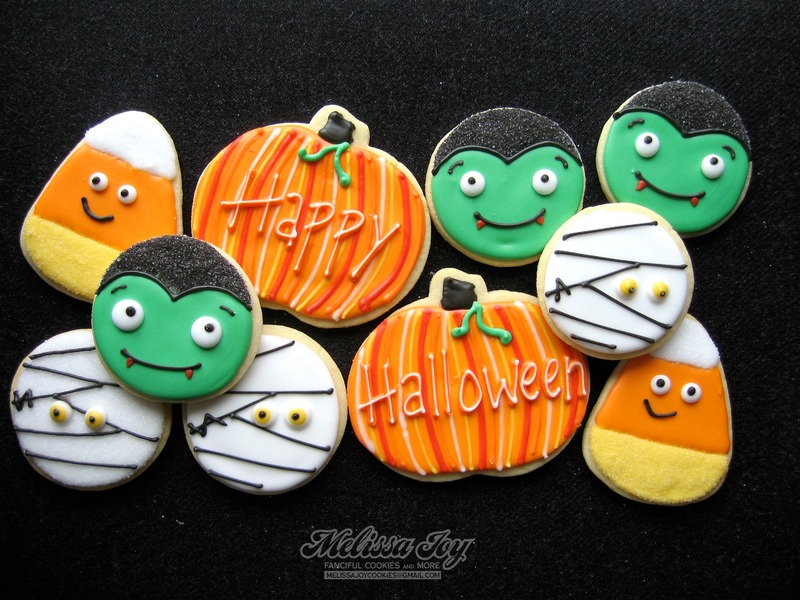 Thought I would include some Halloween cookies from last year, before I started blogging, just for kicks. I’m planning on shipping a couple dozen of these cupcake cookies to Door County, WI this week for BO’s big bake sale, which I wrote about here. Well, I think I’m all tapped out of Halloween goodies for this fall, but you never know. Thanksgiving, my favorite holiday, is fast approaching yet most of that baking usually involves pie crusts instead of cookies. Mmmmmm, pumpkin pie…. 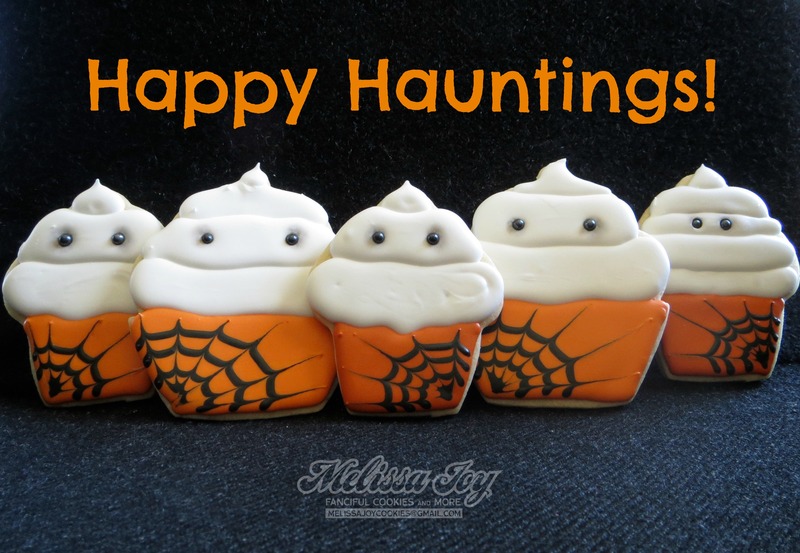 This entry was posted in Fall Cookies, For Fun Cookies, Halloween Cookies and tagged autumn cookies, candy corn, cupcake cookies, Halloween Cookies, mummies, pumpkin cookies, trick or treat, vampires. Bookmark the permalink. 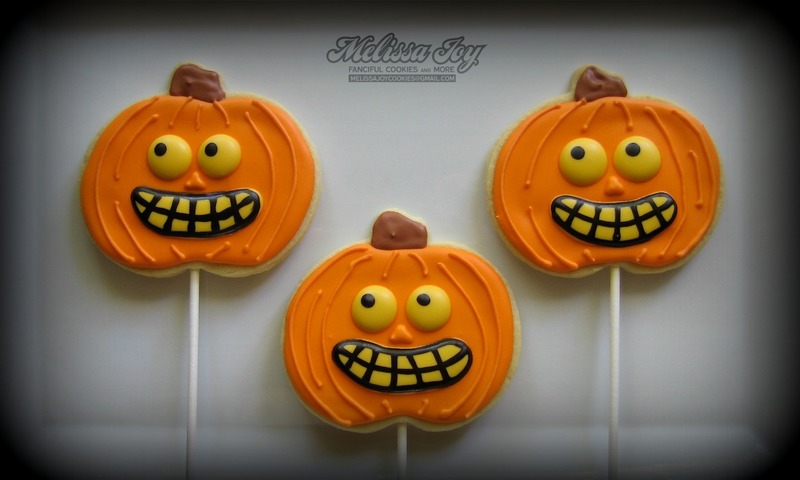 Love all these Halloween goodies! The tic tac toe is my favorite! I was at my favorite bookstore yesterday and went looking for Christmas cards for inspiration. They hadn’t put them out yet- what the hey?!?! LOL- before cookies I would never think about Christmas til mid November! How dare they not be ready?! The Hobby Lobby (if you’ve got those stores) here has had Christmas stuff out since August. I will admit to buying wrapping paper this past September, but don’t tell anybody…. I am such a fan of yours! Your cookies make me happy! Aw Sue, the feeling is mutual!n Thanks for your kind comments!